From 2015 – 2017, 51 PRI signatories representing USD $7.3 trillion in assets engaged with 32 companies in the extractives sector. human rights allegations or breaches occurred (including at companies with more advanced policies and/or systems). The Human Rights Steering Committee held two investorcompany roundtables with 12 extractive companies, which helped to inform the engagement questions. These were further informed by research undertaken by the PRI on the disclosure of human rights policies and processes by the target companies. Applying the UN Guiding Principles as a framework, the PRI Human Rights Steering Committee developed a benchmarking scorecard outlining indicators for disclosure on each of the six core engagement areas. These reflected human rights policies, human rights due diligence and grievance mechanisms. They laid out the initial research for each company to help identify focus areas and gaps for engagement. During the engagement, the scoring methodology was updated with the Corporate Human Rights Benchmark Framework in 2016, as well as the UN Guiding Principles Reporting Framework to ensure consistency with existing market benchmark methodologies. 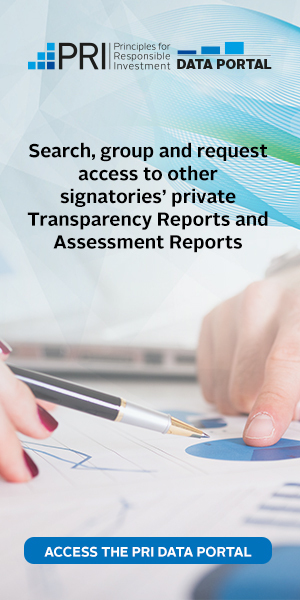 Overall, the companies engaged in the group improved their disclosure in all focus areas. All companies publicly showcased their commitment to human rights and most now also inscribe this commitment within their internal policies and management processes. There was a slight difference in disclosure within the sector, with the mining companies improving their disclosure more than oil and gas companies. In terms of company responsiveness, all companies responded to outreach by investors, with the majority open for a meeting or call to discuss the topic. Investors had at least one engagement meeting with 29 out of 32 companies (91%). Some companies in emerging markets had ongoing dialogue but only via email. The most disclosed indicator was on a human rights policy commitment, with 100% of companies disclosing one publicly. This is an encouraging step towards providing an overarching view of how human rights issues are dealt with. Seventy-five percent of target companies have incorporated human rights considerations into their risk management processes and evaluate their potential human rights impact from the project development stage and throughout all subsequent stages. This was the indicator with the greatest improvement, which reflects that an overwhelming number of companies have started to translate their commitment into concrete steps/implementation. However, most companies still struggle to monitor and track the effectiveness of the policies they have put in place. This is, for example, illustrated by disclosure on training. While three quarters of the 32 target companies state they conduct training for employees and security personnel, only three companies have a mechanism in place to track its effectiveness. This is the area where most progress was made. While only two companies publicly reported on these indicators in 2015, two thirds now do in their annual disclosure. Qualitatively speaking, the way companies proactively identify and assess potential human rights risks and actual human rights impact both before a new operation is launched and throughout the life cycle of the project has also significantly improved. The number of companies that provide access to grievance mechanisms both at the corporate and site level and that publicly report on the way they process complaints has tripled from 2015 to 2017. Improvement was registered across all categories (mining/oil and gas; developed/emerging markets; small/large companies). The number of target companies monitoring the relationship with suppliers and contractors quadrupled between 2015 and 2017 from five to 20 companies. This is one of the only areas on monitoring and tracking effectiveness where the number of companies disclosing has significantly increased. While companies have made substantial progress in reporting on the human rights training they conduct for both employees and security personnel, the number disclosing whether and/or how they track training effectiveness is still very low. This should be the next step to ensure that training is understood and integrated properly across all operations. Although there has been slight progress in disclosure around this indicator, the upward trend is mostly because of an improvement in disclosure among mining companies and those from developed markets, with almost half of both these sub-groups now reporting on human rights. Progress has been less substantial among oil and gas companies, and as of 2017, no company from emerging markets has started reporting on this indicator. It is interesting to note that the human rights risks identification and assessment was one of the three top areas of improvement while companies are still lagging on tracking effectiveness of these risk assessments. Companies that have started to identify and assess risks may need a few years to properly track the effectiveness of the mechanisms they put in place. Very few companies provide evidence that their grievance mechanisms meet some of the effectiveness criteria (e.g. they are legitimate, accessible, predictable, equitable, transparent, rightscompatible and a source of continuous learning)6 for non-judicial grievance mechanisms as per the UNGPs. Benchmarking grievance mechanisms against these criteria would allow to monitor and track effectiveness of existing systems and tailor them to specific geographies/operations. These trends show that an increasing number of companies are acknowledging human rights and adopting the UN Guiding Principles and responding to investors’ requests, but given the nature of the topic it would be expected that the quality of disclosure will follow.